It's getting to be that time of year when the CSA's, Farmers' Markets and gardens everywhere are riff with an abundance of produce. 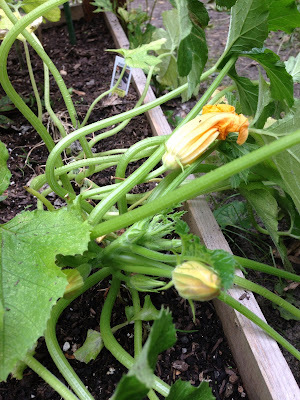 If you planted zucchini, you may be getting overwhelmed with your haul. I wish I could say the same about my wee garden, but alas, I've yet to get even a micro zucchini off the vine. My boss gave me to huge squash - embarrassingly big! I plan to make loads of zucchini bread with those bad boys. As for the other delectable summer squash that I've been buying and finding at markets all over, I have found three great and new(ish) uses for this summer staple. 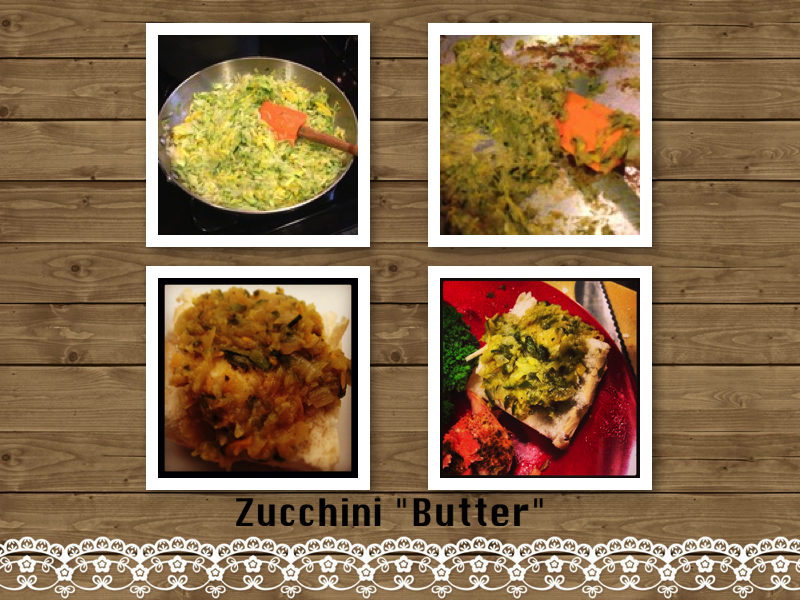 The first is a quick recipe for Zucchini "Butter" My friend, Kate, posted a link for this recipe on her Facebook page and I was quickly taken with it. I barely modified the recipe. I reduced the amount of oil in it since I know that you can always use less. Add in the grated squash, shallots/onions and garlic. Stir to incorporate and let the zucchini cook down until it is reduced by at least half, all the water that it releases evaporates and the vegetables begin to caramelize - in total it may take up to 4o minutes. Stir the pan every 5 to 10 minutes so that the vegetables don't burn or stick to the bottom of the pan. This recipe will serve 3-4 people - or two very hungry people! This is a quick 5 ingredient recipe. 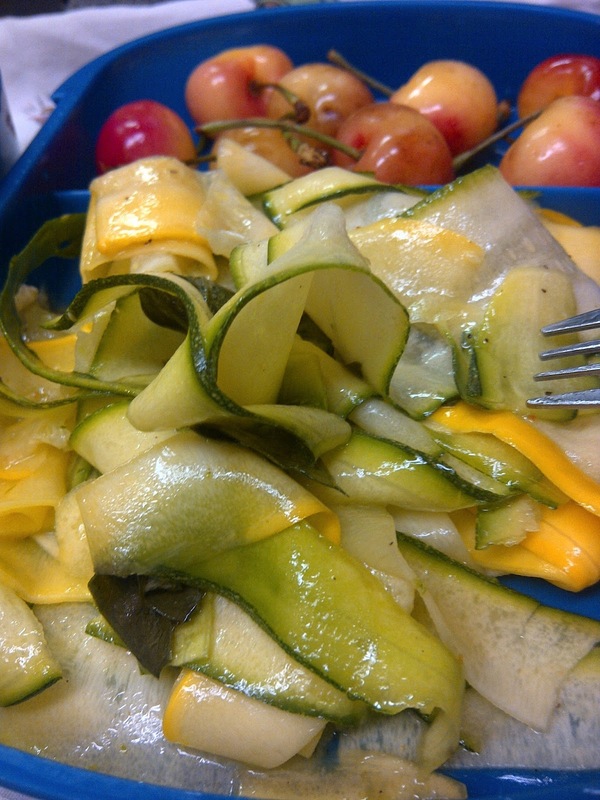 The trick is to cut the squash into ribbons using a vegetable peeler. When you get down to the seeds/core of the squash, stop peeling. The center of the squash can get a bit "woody" and it's very hard to peel without it shredding. Tear or lightly chop the fresh herbs. A mixture of basil, thyme, parsley and/or tarragon is a great blend. If you don't have all or access to these, definitely use basil, it's the epitome of summer fresh herbs! Drizzle 1 tablespoon of olive oil over the zucchini. Season with salt and pepper, toss gently to combine. Add in the acid - lemon juice or light (white) vinegar. Serve immediately, or refrigerate and chill to serve later. Will hold for up to one day, refrigerated. The last recipe was from Real Simple for an easy summer pasta dish, as well as from a recipe by my friend, Barbara, of Zero To Sixty. I had a wonderful mid-day meal/early dinner at her beach house this summer (see my post about our Blogstress gathering here). She and I made a pasta and shrimp dish which inspired me to make a version of it again. 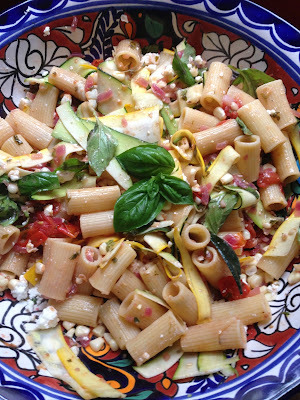 The Real Simple pasta dish was a bit lighter - using all sorts of fresh summer vegetables. Spinning it into my special, Bicycle-Chef way, I made an modified version of both recipes. I had to take whatever we had on hand and use it up before we went on our trip to Colorado. Corn, Zucchini, Fresh basil from my herb garden; the best Israeli Feta I've ever had; and a quick sauté of cherry tomatoes. All served with hot rigatoni pasta. You can vary this whoever you wish - the idea is to use the freshest of the summer produce and toss it all quickly together. You don't even have to cook most of the vegetables - just cook the pasta and the corn and then toss it all together while the pasta is hot. The residual heat of the pasta will "cook" the vegetables and slightly melt the feta. If you want to, you can sauté the tomatoes along with a fine dice of onions or shallots. Make sure the corn kernels are cooked. I added butter beans for a bit of protein. It's a great vegetarian recipe, though a bit of grilled chicken or shrimp with it would be fabulous! Bring a large pot of water to boil; once it begins to boil, add two tablespoons of salt to the pot, then add in the dry pasta and cook until it is al dente. Cook and/or shuck the corn kernels. Add them to a large pasta or mixing/serving bowl. Add in the cut tomatoes, zucchini/squash ribbons, feta, beans (if using them) and basil leaves. Once the pasta is done cooking, drain it and reserve 1 cup of the cooking water. Add the hot pasta to the bowl with the vegetables, feta and basil leaves. Drizzle the olive oil over the pasta and toss to combine. If the pasta seems a bit dry, add in some of the reserved pasta cooking water to help loosen the ingredients and create a sauce. Season to taste with salt and freshly ground pepper. Makes 4 servings. Cool, cover and refrigerate. Will hold for up to 3 days. Serve hot or cold. I also really like zucchini chocolate ship cookies from the book Animal Vegetable Miracle.